Andrew P. Hallowell is a partner with the law firm of Pargament and Hallowell, PLLC. Mr. Hallowell’s primary practice areas are government contracting, corporate and business law, and trade association law. Within these areas, he represents clients on a broad range of issues, including bid protests, contract claims, FAR compliance, small business programs, 8(a) issues, strategic partnerships, teaming relationships, novations, mergers and acquisitions, shareholder disputes, corporate formation and structuring, corporate audits, intellectual property, trade secrets, non-competition covenants, non-disclosure agreements, executive compensation, bonus and incentive plans, conflicts of interest, internal audits and reviews, vendor agreements, licensing agreements, consulting and partnership relationships, arbitration, and civil litigation in state and federal courts. 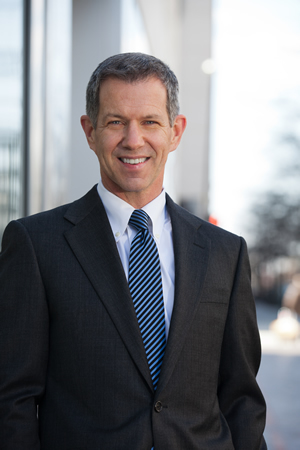 Mr. Hallowell represents a wide range of clients located both in the Washington, D.C. area and nationwide. These clients include service contractors, information technology firms, engineering companies, environmental services companies, security guard companies, defense contractors, commercial vendors, trade associations, and non-profit organizations. Mr. Hallowell frequently participates in conferences and seminars where he speaks on a variety of business-related topics affecting contractors and small businesses, such as teaming arrangements, joint ventures, strategic alliances and small business programs. He is also a frequent guest columnist for federal contracting periodicals. Mr. Hallowell received his Bachelor of Arts degree from Indiana University in 1982 where he graduated Phi Beta Kappa. He received his Juris Doctorate from American University in Washington, D.C. in 1985. Thereafter, he became a law clerk for the Honorable Donald S. Smith, District of Columbia Superior Court. Following his clerkship, he entered private practice with the law firm of Piliero, Mazza & Pargament, PLLC located in Washington, D.C., where he became a partner. In September 2006, he formed Pargament & Hallowell, PLLC. Mr. Hallowell is a member of the bar in Maryland and the District of Columbia, and also admitted to practice in the United States District Court for the District of Columbia, the United States District Court of Maryland and the United States Court of Federal Claims. He is a member of the American Bar Association’s Public Contract Law Section, Bid Protest Committee, and the ASAE & The Center for Association Leadership. Is Your Non-Competition Restriction Enforceable? Notice: This website is for informational purposes only. No attorney-client relationship is established or will result based upon review of any information on this website or submission of an inquiry to the firm by a user of this site. In addition, persons or entities interested in engaging the firm should not forward confidential information unless and until an attorney-client relationship is established and an engagement letter is signed by both parties.